We’re preparing for pride. The Vancouver parade is Sunday August 5th. UCV is showing our colours. We’ll hang a rainbow flag outside and paint rocks in rainbow colours. Perhaps we’ll decide to re-certify as a “Welcoming Congregation” or offer the “Living the Welcoming Congregation” program. Contact sharingucv@gmail.com if you’d like to join the email list of the ad hoc team working on this. 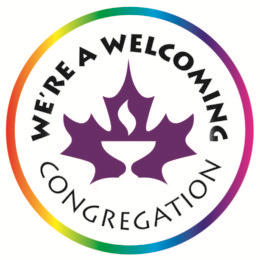 More about the Welcoming Congregation program here. At the Hamilton national Unitarian conference in 2005, five youth from Calgary unfurled a 500’ rainbow banner. A spontaneous offering raised funds to send them to Ottawa to show their colours. 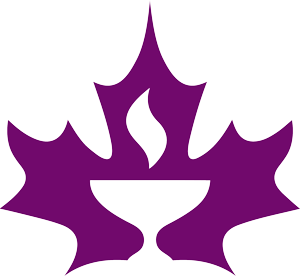 Parts of the banner have been left with various individuals, the CUC and the Calgary congregation. The original “gay flag” design had eight colours including pink and turquoise and blue and indigo were combined to be “royal blue”, so they usually have six rainbow colours not seven.